David Deyong Jewellery: A Chocolate Free Easter Alternative! Earlier this month I wrote about a monogram pendant that I was gifted from a new company called Kaya Jewellery. In the photograph that I took of it, I had layered it with two other necklaces; my Links of London chain complete with an assortment of charms that I've collected from here, there and everywhere (which I wear every day) and also a brand new locket. Quite a few of you commented on the locket on Instagram so I thought I'd give it a little mention over here, especially seeing as it's Easter next week - and I think it would make a pretty neat alternative to chocolate if you're looking to get a gift for someone special. 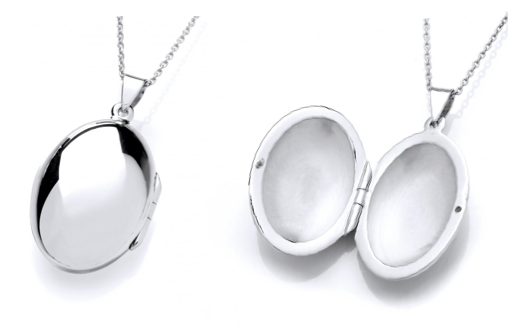 It's a sterling silver polished oval locket from British jeweller, David Deyong. I really, really love it because it's such a perfect, simple, classic design - but you can make your own mark on it by putting a photograph or teeny tiny object inside it to make it extra meaningful. You all know how much I like timeless jewellery that never goes out of fashion. 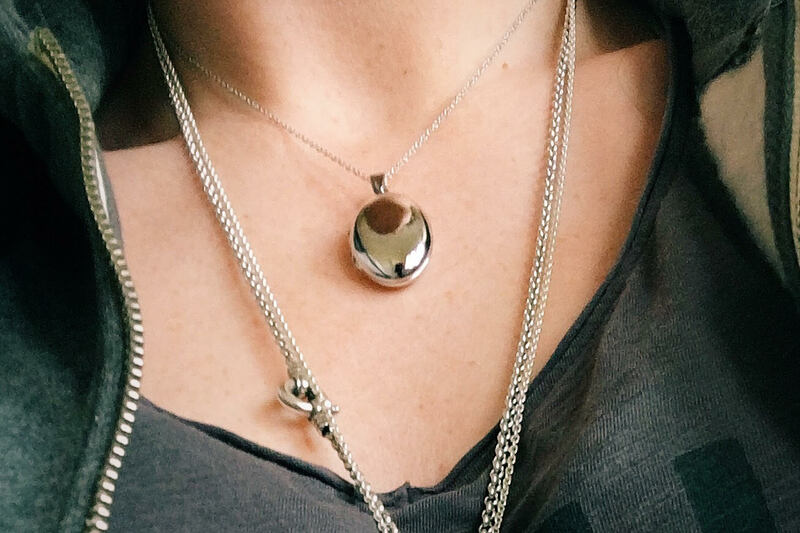 I've always thought of lockets as being particularly special - they always seem to get handed down the generations within families - but there's always a time and a place for on-trend pieces, and it just so happens that lockets are very in Vogue at the moment, so now really is the perfect time to invest in a piece like this. This pretty little egg shaped locket will last way beyond Easter Day, unlike the millions of chocolate bunnies that will get devoured before breakfast in my house ;) It costs just £79.99 (although you can opt for a longer chain length at a premium) and it is available online here, or at a number of stockists across the UK (check the store locator here). David Deyong very kindly gave me this locket as an Easter present. I didn't have to write about it but I chose to because it's one of my favourite pieces of jewellery! As always, all words are my own and are entirely true.